Amazon Basics: A Blessing or Curse for Amazon Sellers? The Growth of Amazon’s Private Label Brands: A Blessing or Curse for Amazon Sellers? This week I have received some messages about news that Amazon will be expanding its private label brand, Amazon Basics. “Is Amazon going to crush my product, and the FBA opportunity, while they expand their private label brand?” I have one response to that: Fear not, the sky is not falling! There are always potential concerns for people who sell on the Amazon platform, or people who rely on any other third party platform. Most recently, the Amazon-related fear was that Amazon will open up its marketplace to Chinese sellers, as it applies to become an ocean freight forwarder. Or another recent concern was the twice-yearly notifications that it is raising FBA fees (perhaps you just received one of these like I did). There are numerous challenges, and compromises, that you have to make as an Amazon seller. One of which is that you are essentially a guest in the Bezos marketplace. If you play nicely, and obey all of the ground rules, then you won’t have any issues (did you catch our recent webinar with Cynthia Stine? You should check it out so that you know what these rules are!). One of the implicit house rules of Amazon is that they have access to all of your seller data, and can do with it as they please. I don’t think that the news of an expanded Amazon private label should effect you at all. I am continuing to research and launch new products, and I hope that you continue to keep your head down and work as well. But because it is a fun thought-exercise, and a topic of concern for some, let’s review why I am not afraid to have Amazon as a potential competitor. If you have seen me do product research in action (watch me come up with private label product ideas here) you will know that my main criteria is finding products with existing demand. I am not trying to generate new demand, but simply identify products that have significant demand and position myself to grab a slice of that pie. If you see Amazon launch an Amazon Basics product, you can rest assured that they have done significant product research and identify an opportunity in the niche or product. 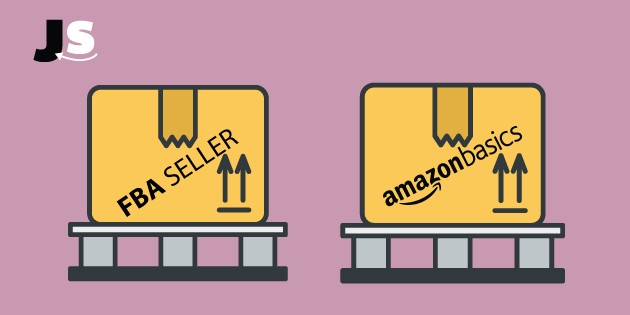 If Amazon directly enters your niche, then you have to make a decision. Stay the course and compete, or exit from the niche? This is a decision that you must make, and has many variables that can swing the decision either way. If you are not currently in the niche, then use the launch of Amazon Basics as the entry-point of your product research. This is a technique that I call “Spying on Competitors”. The strategy is basically identifying successful private label sellers, exploring the portfolio of products that they sell, and seeing if there is any product idea with potential. Let’s start doing some spying, just for fun. First, we can start by seeing the Categories that Amazon sells in. You can see all of the categories and products here. And there you have it! By using Amazon Basics as the starting point for product research, we’ve come up with some product ideas that look like they have potential. 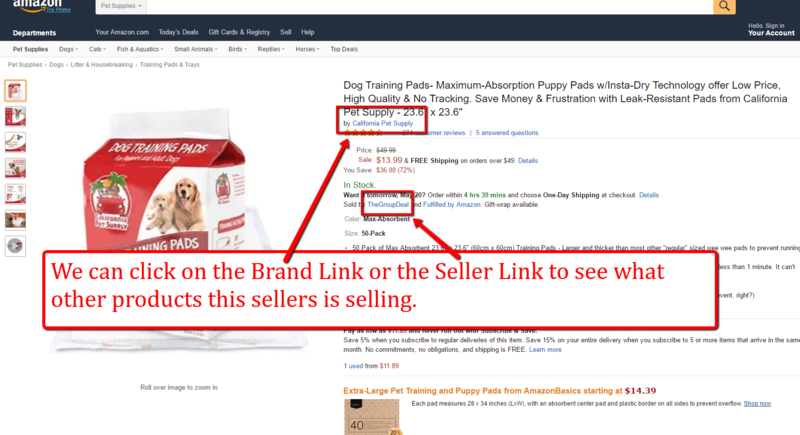 In this example, Dental Care for Dogs looks like a good place to start, and you can see how we came upon this from starting by the Amazon Basics product portfolio. Though this is from my personal perspective, I am not concerned or effected by the expansion of Amazon Basics because that product line targets popular main stream products that are commonly searched for and purchased by a broad swath of Amazon users. Remember back to the product research phase of our Jungle Stix product launch? Passing a “weird test” was one thing that I prioritized—basically, just a product that your average friend would not know about or need. When we were doing research, this lead to product ideas like film canisters, drain catcher for hair, and of course bamboo marshmallow sticks. I bet you can’t tell me that a majority of your friends have purchased these products recently? They are weird indeed. 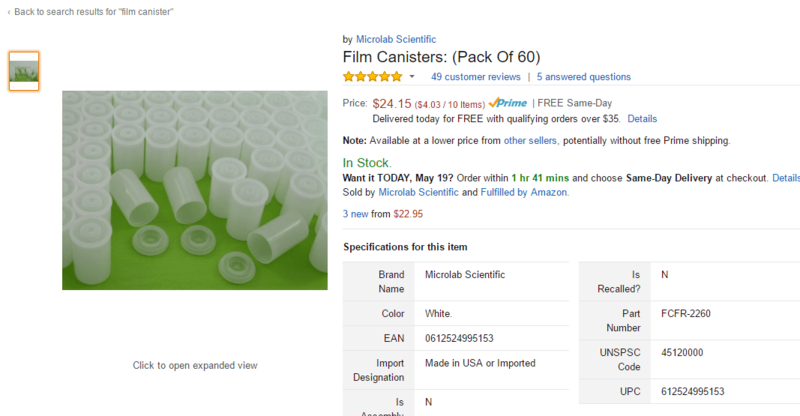 When was the last time that you bought a package of film canisters? Or shower drain hair catcher? Probably not very recently, but there are enough customers on Amazon who have purchased such products to make it interesting. And if you follow that rationale, and launch products that have a streak of off-the-beaten-path to them, you probably won’t be in the same market as Amazon. So now knowing that Amazon Basics is growing, you may want to heed this advice even more. 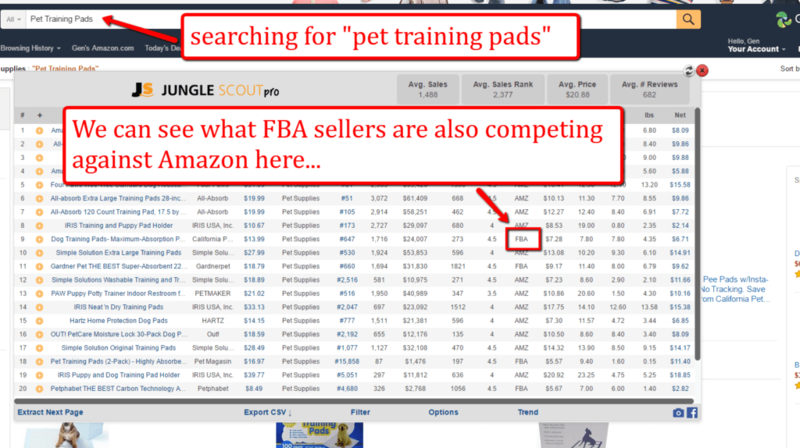 That is why I rely so heavily on the Jungle Scout Web App when doing product research: instead of clicking around randomly on Amazon and hoping to stumble on a good idea, I filter through a database of millions of Amazon products to find high-potential products in a fraction of the time. Here’s a question for you: tell me a company that has a complete dominance (aka monopoly) in any market? You may say Google for internet search, but that’s technically far from true—they have about 70% of all internet searches, but have competitors to deal with. In whatever industry, whether software, airlines, automotive, or whatever else, there are always going to be competitive alternatives. It is in fact a US law, that there can not be a monopoly in any industry. So when you apply this to Amazon Basics, you will realize that though they may have a stronghold on a product niche, they will never be the only option for customers. Amazon has taken the approach of undercutting the market and offering cheaper alternatives for products. This leaves opportunity for sellers who position themselves as higher-quality products for discerning customers. My point here is that there are many ways to offer value to customers, whether it is high quality and high price, or lower quality and cheaper. You can still be in the same niche as Amazon, but appeal to a completely different customer. When people ask me if they should avoid a product that Amazon sells, I tell them that Amazon is a behemoth that leaves many weaknesses that can be exploited. If you can be smarter, and work harder, than Amazon, then you have the advantage and the ball is in your court. For example, you will never see an Amazon sponsored ad or pay per click. You will not see a well optimized Amazon listing, rich with keywords and high quality product images. You will not see email follow up campaigns to increase the number of reviews for each sale they get. These are all opportunities for you as a Seller. If you find yourself in the same niche as Amazon, you can out-market an Amazon listing with minimal effort. With better product photos (I think you can take more photos, including in-action shots with real people) to help you get more clicks to your site. You can address typical customer objections and questions in your Product Descriptions and Key Product Features. You can use persuasive marketing copy, and target different niches and search queries with optimized listings to get you more exposure than most Amazon Basics listings. I have not seen Amazon run any paid ads for any of its private label products. I am not sure of why this is, but it doesn’t matter. What does matter is that you can still run effective paid ads to get qualified traffic to your site. Amazon products will not compete against you in this realm. So as you run your paid ads, presumably at a positive Return on Investment, you are generating more sales and more reviews (I assume that you would be running an automated email follow up sequence to convert sales into reviews). These incremental sales and reviews are a competitive advantage you have over Amazon. 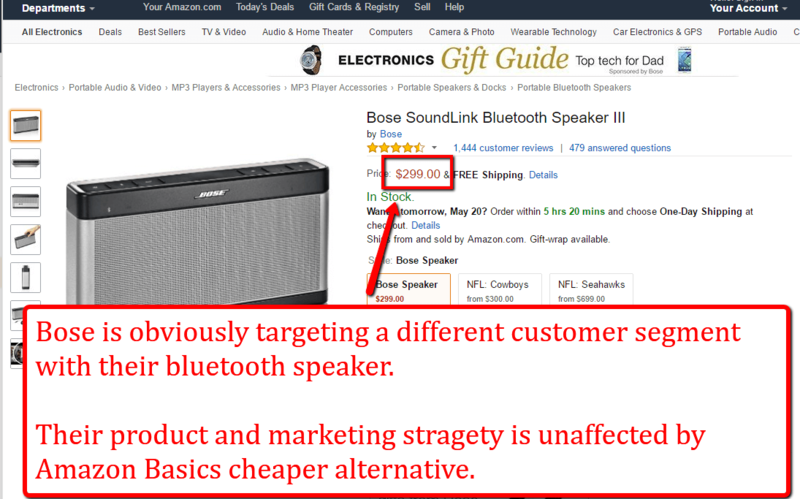 If you do sell a product in a niche that Amazon Basics also sells in, you may see an impact to your sales. However, your unit economics don’t change. If you had a fundamentally sound product, where you were able to turn a profit on each product sold after you account for Cost of Goods Sold and Amazon fees, then you still get the same amount of profit for each sale whether Amazon is a competitor or not. 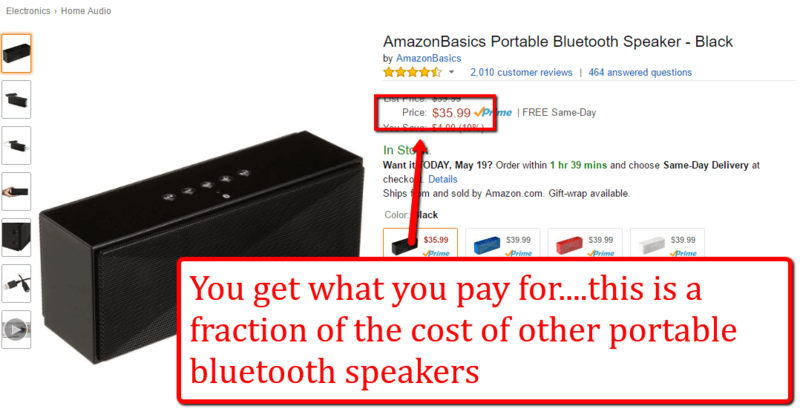 And sure, Amazon may be able to source a product for cheaper, or doesn’t have to pay the same FBA fees as you do. However, just because they may have a higher profit margin per product than you, again, it does not directly affect your ability to profit on a per unit basis. In fact, I am not entirely convinced of Amazon’s profit margins from Amazon Basics. I have not gone through their Annual 10-K stock performance (you can read Amazon’s reports and finances here), but Jeff Bezos and Amazon are notorious for using “loss leaders” to generate more business. For example, Amazon sold Kindles at a price that was cheaper than cost to manufacture, with the assumption that they would make more money on the lifetime value of a customer buying ebooks and media to read on the Kindle. This is a slight digression, but my main point is that Amazon Basics may not be the end goal for Amazon, but instead just a means to an end. The real end goal is building greater customer loyalty to Amazon as an e commerce platform, not a private label brand. This is my opinion, not a confirmed fact, but we’ll see how this plays out! If you have seen our Sh!t Amazon Sellers Say video, then you know our appreciation for Scott Voelker’s favorite phrase, “Take Action!”. “Take Action” is a relevant truism in this case because there are many potential sellers who will find a variety of reasons to not take action and take advantage of the opportunity of selling on Amazon. Amazon expanding the Amazon Basics line is a reason that some people would cite as a reason to not go forth selling on Amazon. This is a mistaken logic, but leaves the door open for those who do take action and build a business on Amazon and beyond. So with that, I encourage you to not concern yourself with the variables in the world that are beyond your control, and instead knock out the tasks that are within your grasp. So don’t go out and launch a product to directly compete against Amazon, but by the same token, don’t worry about externalities and instead take control of your own future by putting in work and arming yourself with the knowledge to take advantage of the opportunity that Amazon presents! Best of luck to you. I’d love to hear from you in the comments below and any questions, thoughts, or concerns about selling on Amazon as Amazon Basics expands. I appreciate your constant optimism, it’s so refreshing to see that “the sky is not falling” as far as the Amazon Private Label game. Thanks for all the knowledge you all share! Certainly 🙂 I’m glad you’re enjoying it! In my opinion, a positive mindset and outlook is important to have in order to be successful in any business venture! There is an error in the headline. The expansion referenced in major news outlets over the past two weeks was actually NOT about AmazonBasics but was rather about Amazon’s other PL brand forays, including about 7 different clothing brands. AMZ’s expansion is into other PL brands, not AmazonBasics. That is a fair point, that the articles were focused on private label brands in general, not AmazonBasics. We’ve edited the headline to clarify, thanks Billy. why is jungle stix out of stock for 2 weeks already? Hi David, unfortunately we ran out of inventory! More inventory is arriving via ocean freight, we will hopefully be up and running very shortly. Just an aside, and I’m sure you would have figured this out on your own through the research process, but for any newbies looking for a short cut — that hair catcher is patented. Sounds like you have uncovered some good product ideas that have demand and limited competition (from Amazon). Good luck in your journey, keep us posted on the path to success! Great article Greg! As an Amazon seller myself (1M+/year) it is shocking to me how every blog post you make is something that was either a major worry for me at some point, a topic currently on my mind or something relevant to me in the near future I had not even thought about ! This is all to say these blog posts are great valuable reads! I whole-heartedly agree with the message in this article. 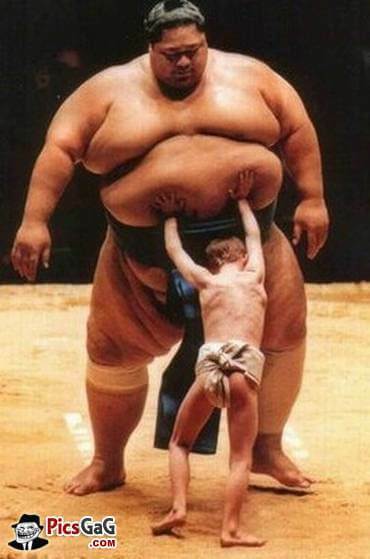 Keep on moving and it will be harder for the giant that is Amazon to squash you. If you are worried about Amazon or any competition stepping into your niche than you need to expand your niche. This was always true and will always be true. Amazon’s announcement should work as a reminder of this and not as news to you! I think you are spot-on. selling on Amazon is a microcosm for business in general. You have to constantly be aware of market conditions and externalities, and adjust accordingly. The expansion of AmazonBasics may be particularly unsettling for people who got complacent with their business/niche.